H Residence MT Haryono is a midrange apartment complex featuring 1 tower of 22 floors for a total of over 360 units. Built on 1,6 hectares of land by HK Realtindo, it also includes the 3-star Harper Hotel. 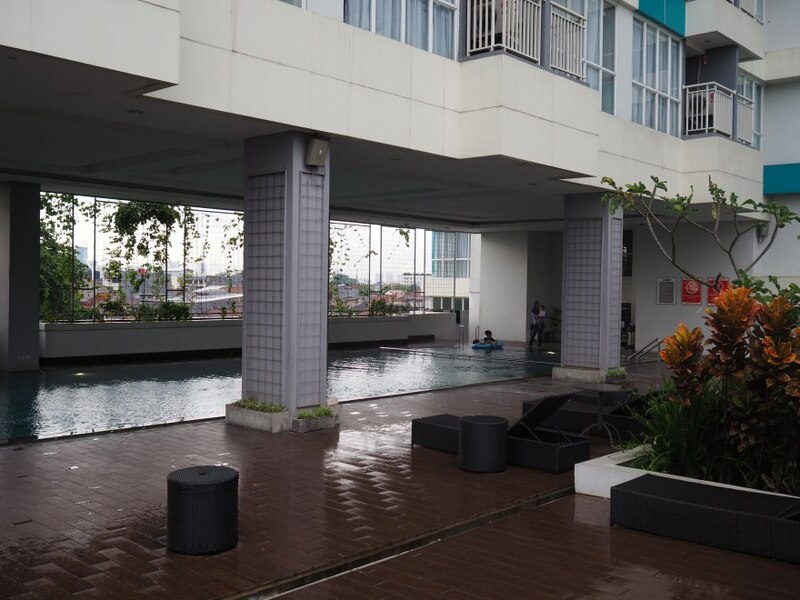 H Residence is on Jalan MT Haryono, at the border between Cawang and Jatinegara. 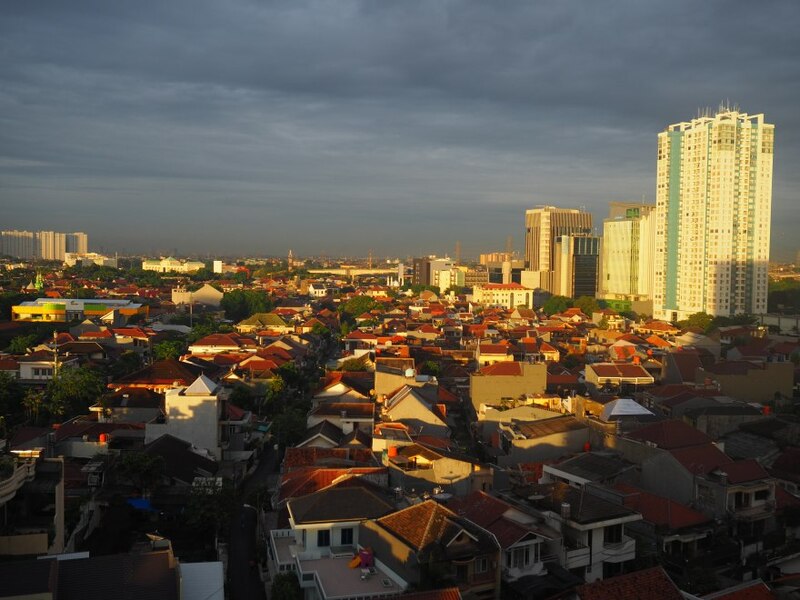 Both of these districts are residential, with mostly low-rise accommodation belonging to the Indonesian middle class. 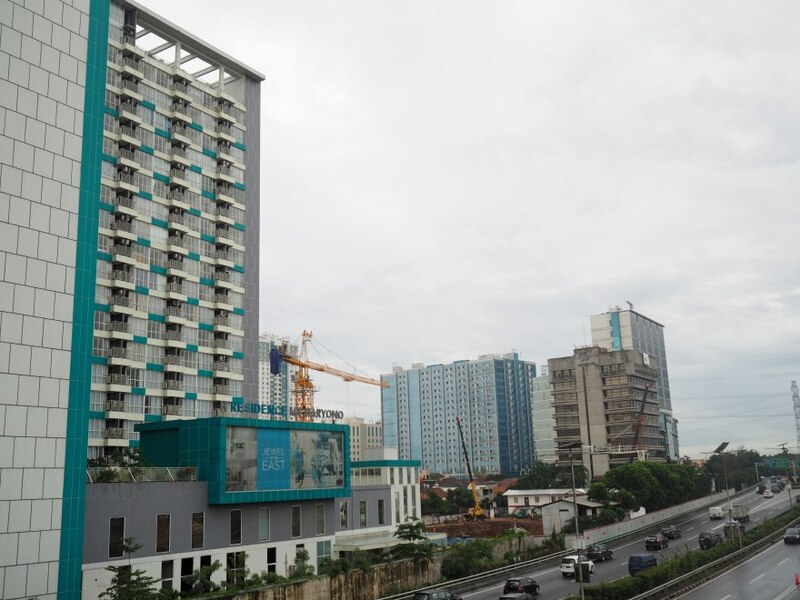 There are a few high-rise towers as well, in particular along the toll road Grogol-Cawang. The residence is surrounded either by large roads or by houses. It’s not particularly interesting. H Residence doesn’t have a mall nearby. A few of them are within 10-20 minutes by car: Mal Cipinang Indah, Mall Bassura, Lippo Plaza Kramat Jati, Kalibata Square, and Pusat Grosir Cililitan. They are all targeting the middle-class. There are a few available supermarkets within 10-15 minutes by car: Carrefour in Cipinang Indah Mall and Carrefour MT Haryono are the best ones. For fruits, vegetables, fish, and meats, you can go to the local market Pasar Jaya Cawang Kavling (500 meters away). A smaller supermarket, specializing in fruits, Frestive, is on Jalan Otto Iskandardinata (Jalan Otista) only 1 kilometer away. The choice is poor. 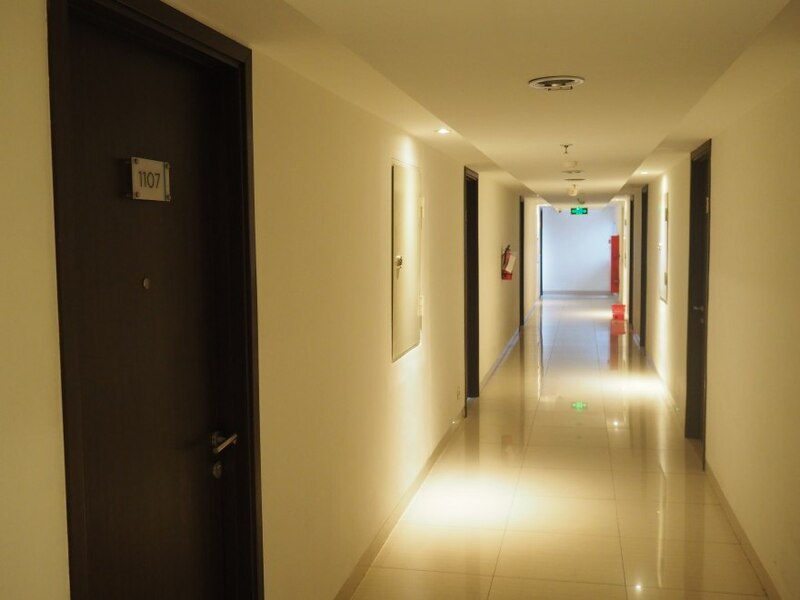 You have a coffee shop in Harper’s Hotel and a few warungs in the ground floor of the residence. Nothing extraordinary but more venues might open in the future (there are still some available empty spaces). There is a Kidea Preschool about 2 kilometers away. A bit further, in Tebet, you can also try Kinderfield Preschool and NTO International Preschool. RS Tebet is about 15 minutes away by car. It is a general hospital for the low to middle class. Another one, RS Premier Jatinegara is about 20 minutes away. Closer to H Residence, there are also some specialized clinics like Rumah Sakit Pusat Otak National (for heart strokes), Rumah Sakit UKI and RSAU dr. Esnawan Antariksa (for the military). There are several office buildings along Jalan MT Haryono, up until Jalan Gatot Subroto, and on Jalan D.I. Panjaitan. 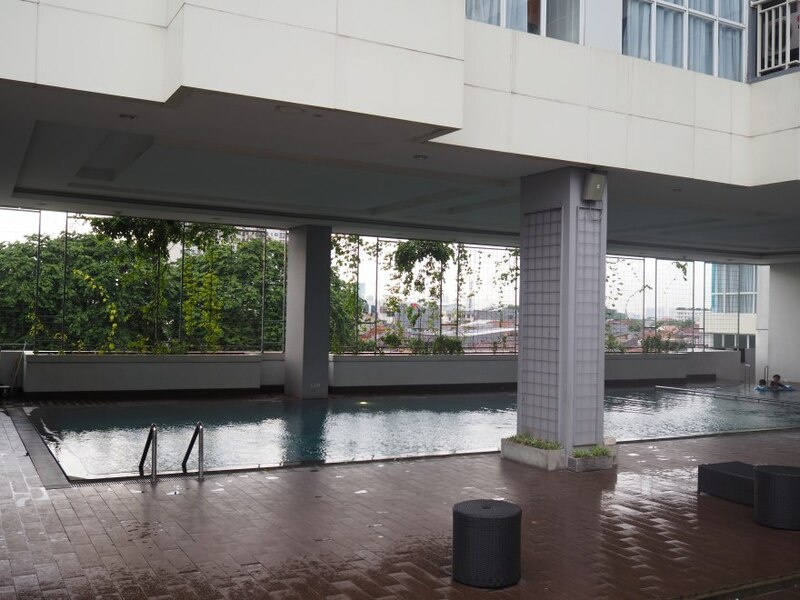 However, the real Central Business District of Jakarta is further away in Sudirman, more than 35 minutes away. Unfortunately, things are not as easy as they seem. To go to the Cawang interchange from H Residence is actually quite difficult. You’ll need to go through smaller streets for several minutes. Naturally, once the project is completed, you can expect that the situation will improve. Honestly, it is a bit difficult because the residence cannot be accessed from the main street. You need to go through the back, via Jalan Cawang Baru. You will probably need to explain it to your taxi if you don’t want to wait for hours. 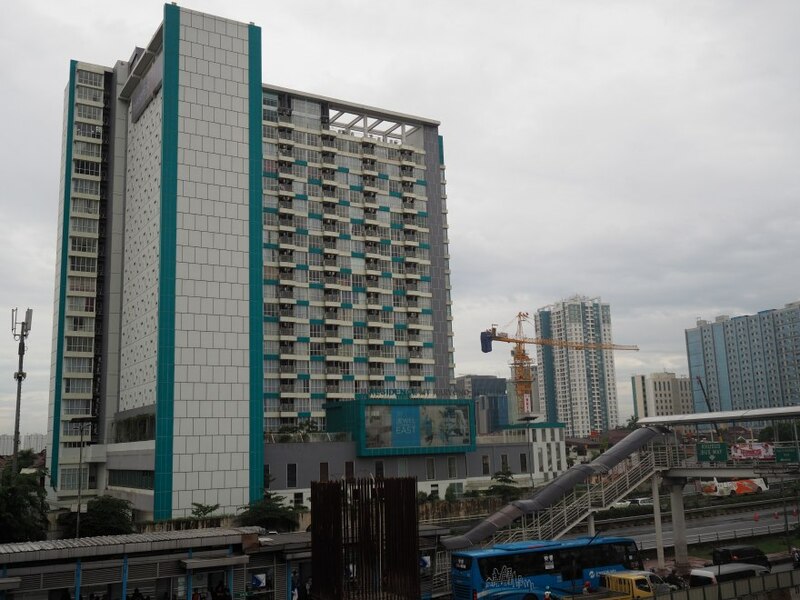 9,9A, 9B, 9C, 7, 5C, 5D, 5E, 7: Those lines with a dedicated corridor go to Pinang Ranti, PGC 2, Kota, Pluit, Bundaran Senayan, Kampung Rambutan, Kampung Melayu, Ancol, PGC 1, Harmoni, Ancol. Cawang station is 2 kilometers away (10 minutes by car). There you can get the red line from Kota to Depok and the yellow line from Jatinegara to Bogor. It is quite convenient to reach the Central Business District as there are stops in Karet and Sudirman. 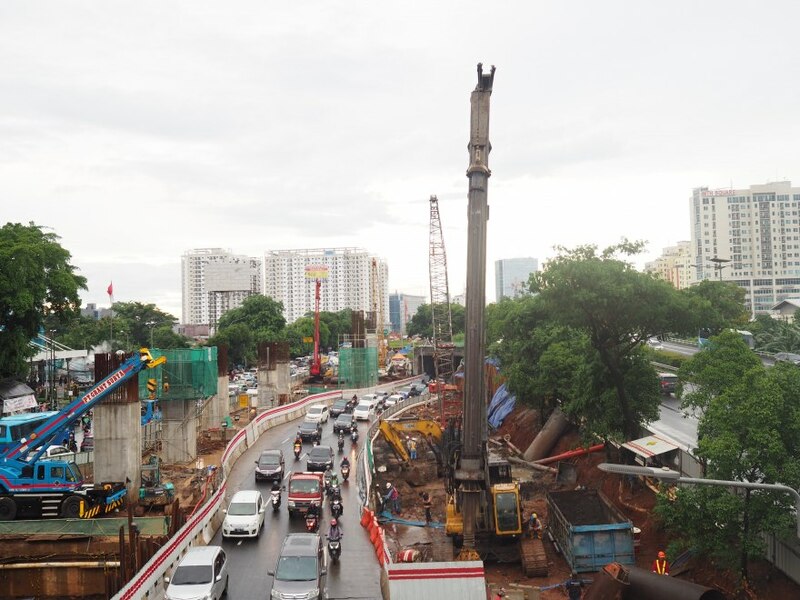 An LRT line is planned on Jalan MT Haryono and it should be completed in 2019. I believe that an LRT station should be positioned at the Cawang interchange, therefore near from H Residence. There are poor sidewalks around. Walking is possible but difficult. 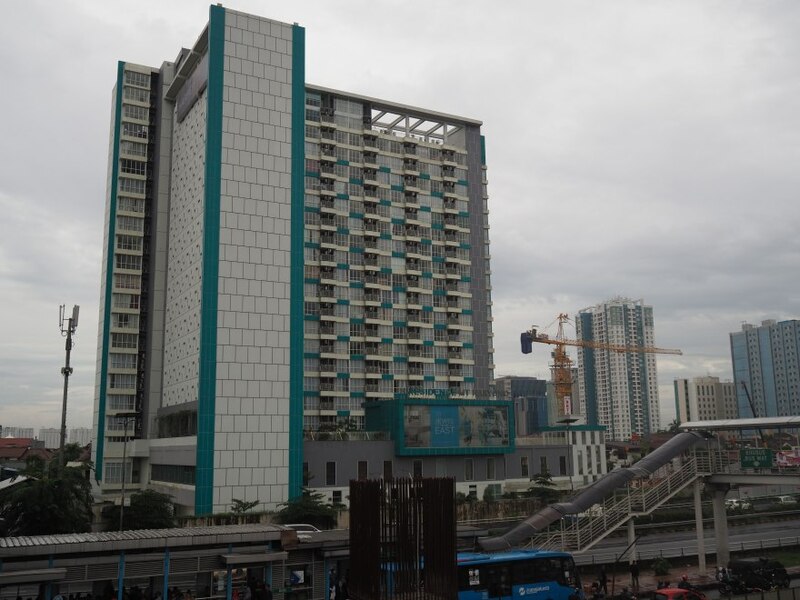 The developer was HK Realtindo, a subsidiary of the state-owned company Hutama Karya. The latter is a large contractor, involved in many big infrastructure projects like the Jakarta MRT. HK Realtindo is relatively new as it was created in 2010. For now, they have only developed a handful of projects, such as H Residence Soetta, Kubikahomy in Tangerang, or H Tower in Kuningan. It is a bit early to talk about their reputation. However, based on my experience, government-owned companies are generally not the ones with the best management. I don’t have this information but it might have been Hutama Karya. The tower is L-shaped, with rather large windows and a small balcony. I don’t really like the design, but at least they’ve tried to come up with something original. The entrance to the residence is not nice. While the Harper Hotel has a proper lobby and a drop-off zone for cars, H Residence only has a small door with a tiny reception. 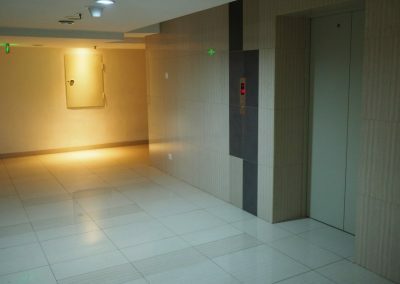 The garden and the swimming pool are on the lower floors, above the parking. The area is narrow, with just a few plants. The pool is almost entirely in the shade. I didn’t find the area very enjoyable. 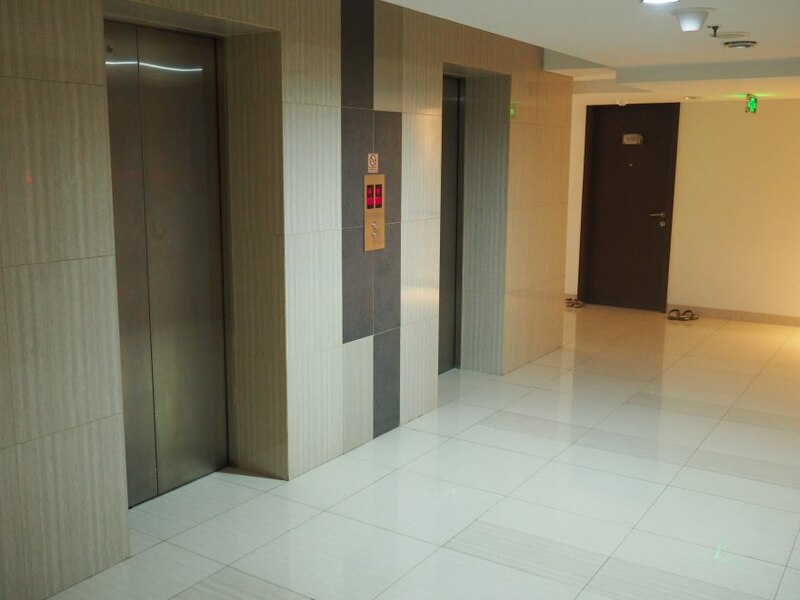 The corridors look fine, with ceramic tiles on the floor and a false ceiling. The wall painting is well-done. – Swimming pool: It is not very big, with a tiny kids pool attached to it. Unfortunately, the water is very cold as the water never gets any sunlight! 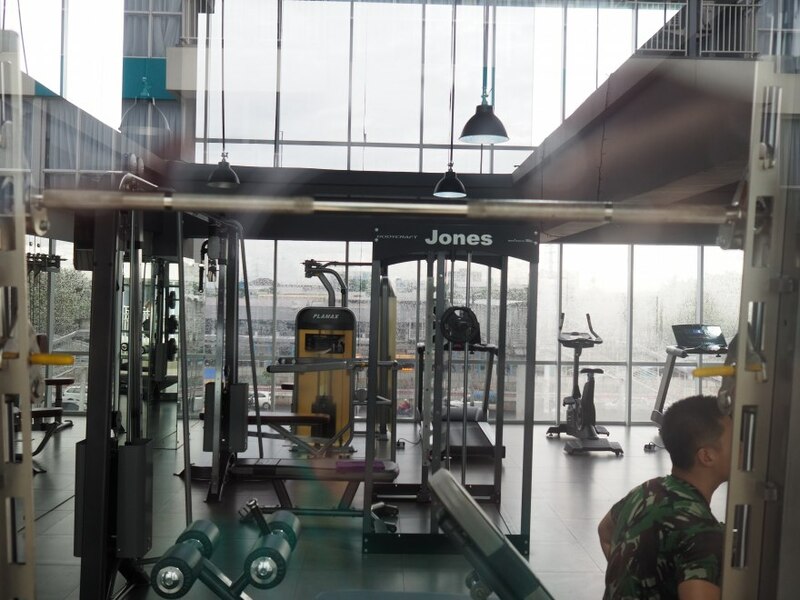 – Gym: I couldn’t go inside because it was reserved to apartment owners only (not renters). I saw from the window that there was quite a lot of equipment, but that the quality of the machines was average. – Kids’ Playground: It’s only a few kids games. 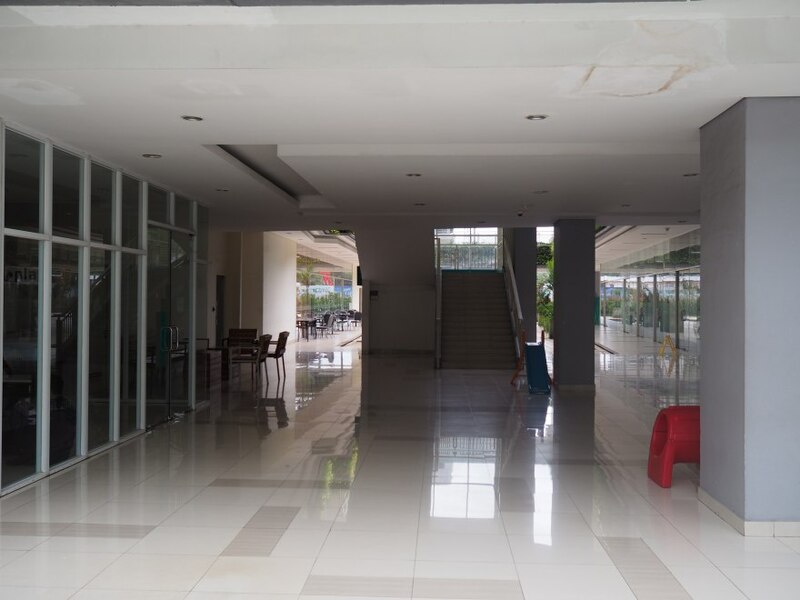 Very few services were available: Laundry, minimarket, ATM, a few restaurants,… Maybe the reason for that is because it is a new property and that they haven’t filled all the shops yet. 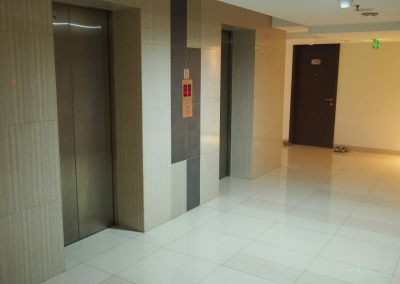 There are 3 lifts per tower. It was not very busy when I visited. I guess the occupancy is still low. Yes, it is a bit noisy from Jalan MT Haryono (if your unit is facing the South). Also, you currently have a construction site next to the residence (on the East side). Finally, if you have an apartment facing the North, you will hear a mosque. Most residents are Indonesian Pribumi. There are very few expatriates. The garden is small and not very impressive. Its maintenance is decent. 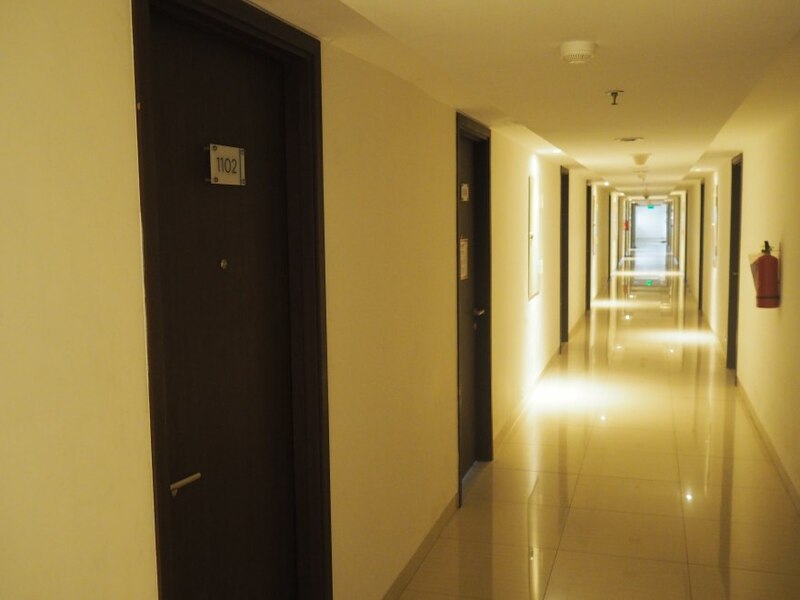 Prices at H Residence MT Haryono may vary depending on many factors such as the floor, the unit type, the room condition and the furnishings. 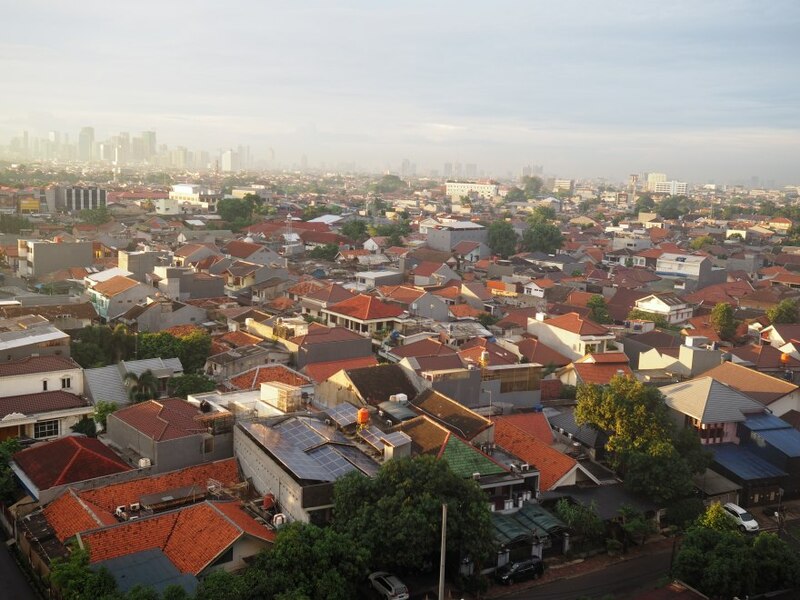 Even though you can hear the sound of a mosque from there, I would recommend the units facing the North as you have a better view of Jakarta. 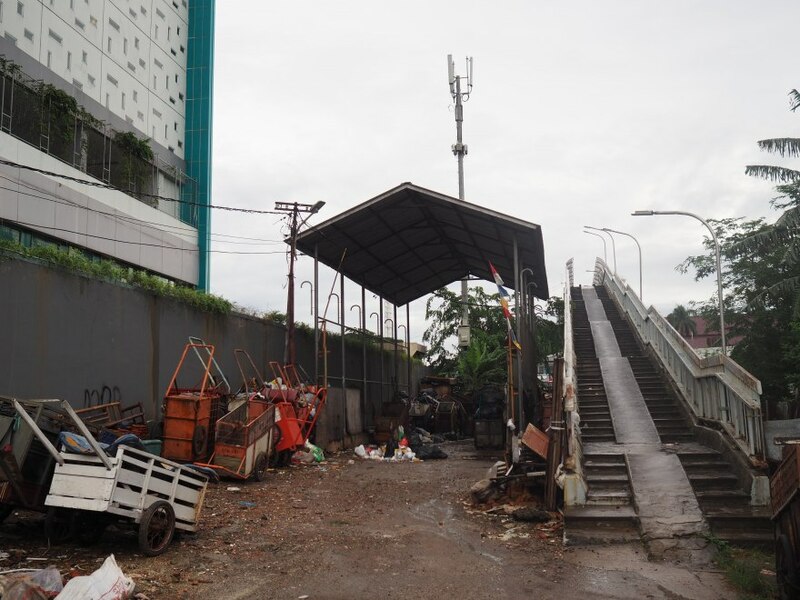 These will also allow you to avoid the noise and pollution from Jalan MT Haryono. 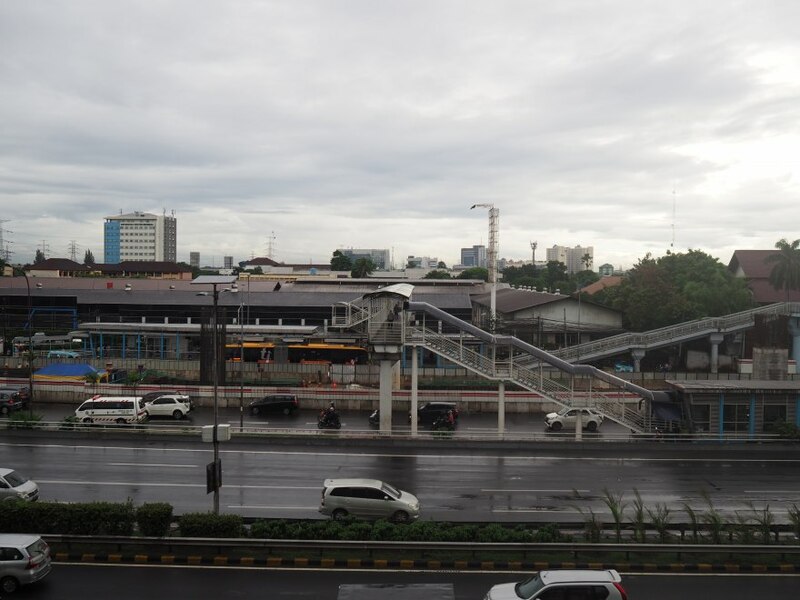 Completion of the LRT project with a station near Cawang Interchange. The poor architecture of H Residence (swimming pool in the shade, hidden entrance, narrow garden, etc). A lot of potential competition nearby as there are many empty plots of land. The apartments in H Residence are rather pleasant (especially the floor-to-ceiling glass windows) and their price is reasonable (both for buying or renting). The location is also quite strategic, though it isn’t sure yet whether it will be easy or not for residents to reach the LRT station by foot. My main concern before buying would be the reliability of the developer. I wonder if they will keep maintaining the property in a decent condition even after all the units will have been sold. Furthermore, the facilities available are not very good and I’m not sure it would really attract renters. Overall: I would not buy. - Not many things to do nearby: No malls, no supermarket, few restaurants, etc. - The swimming pool area is not pleasant.